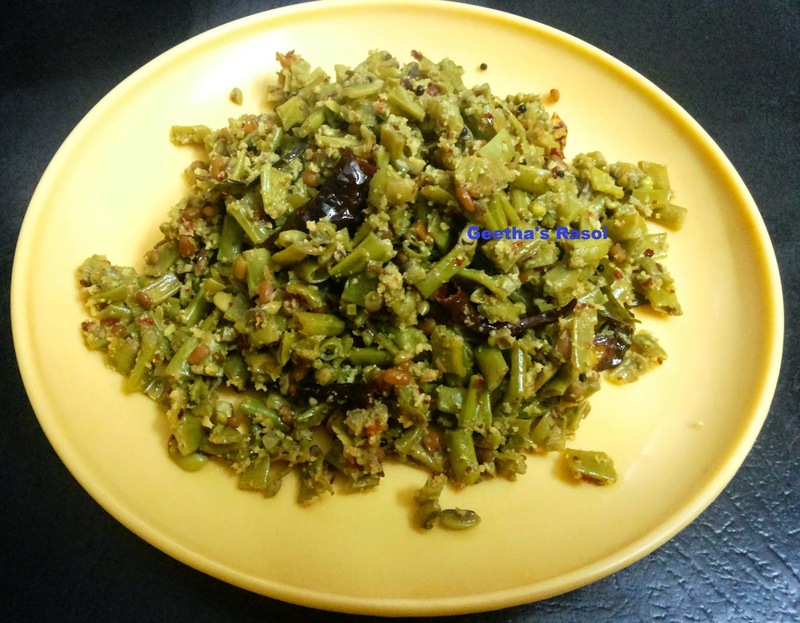 Geetha's Rasoi...: Alasande palya (long bean stir fry) udupi style. Cut alsande into small pieces. salt and little water. Cook till half done. Grind coconut, 3 red chilly and jeera into coarse powder without adding water. Add this powder to half cooked Alsande cook in low flame till done.